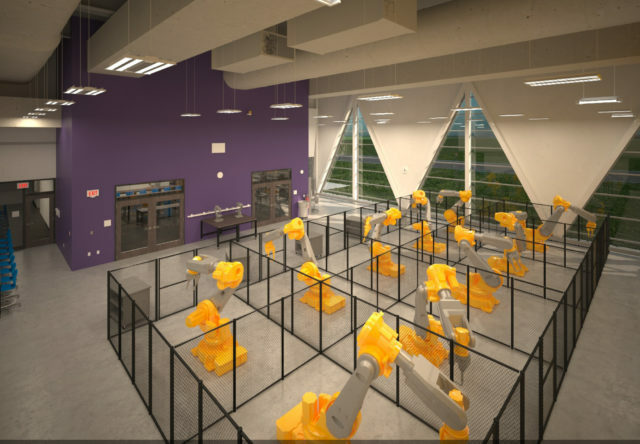 The new Tri Star Career Compact gives students and local businesses access to the latest tools for 21st century skills training and education through a cutting-edge STEM curriculum. 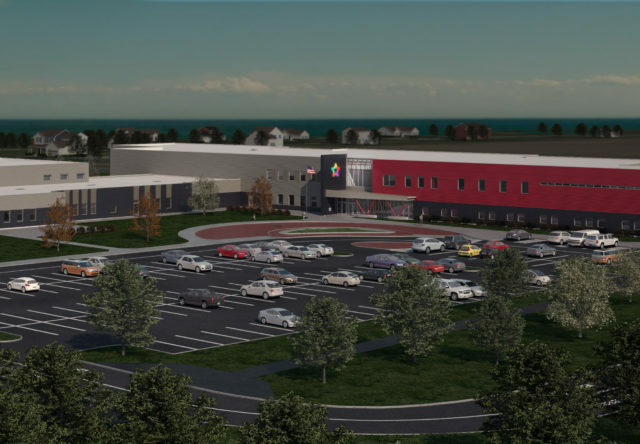 For this innovative project, Fanning Howey is bringing national expertise in school design to our hometown of Celina, Ohio. 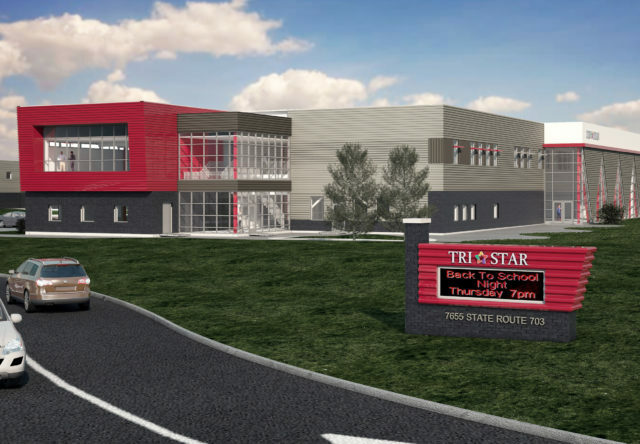 Tri Star Career Compact’s new two-story building, dubbed Tri Star 2.0, will be a catalyst for skills training and economic development in the region while consolidating the program’s existing campuses into one state-of-the-art building for the first time. 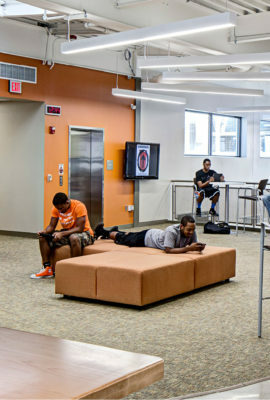 A highlight of the facility is the central commons. 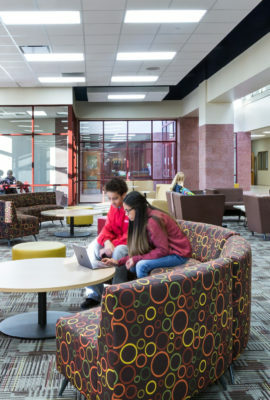 Designed to be a collaboration space for students, it doubles as a meeting place for local businesses, and is capable of seating up to 500 guests. A portable platform and video wall made up of nine 70-inch high-definition flat screens makes for a Ted Talk-like presentation space. 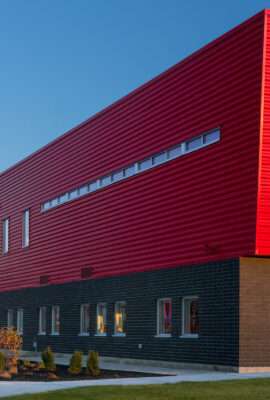 Consolidate the program's existing campuses into one comprehensive facility. 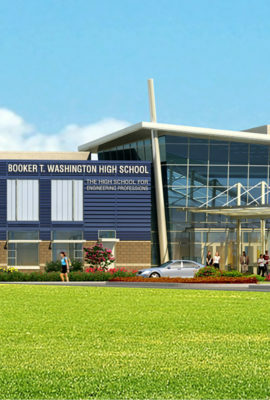 Designed to look like a corporate headquarters, the building will work to establish an identity for students, positioning the program as a high-tech, vibrant school of choice and a vital contributor to the local economy. 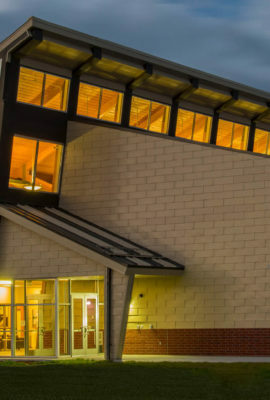 Interior and exterior glazing offers views into learning environments that bolster this new identity, and spread awareness of the school’s program offerings. 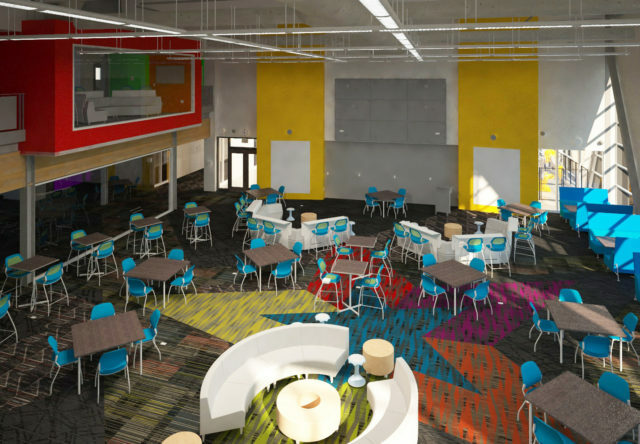 The central commons is designed to be a collaboration space for students, and doubles as a meeting place for local businesses, capable of seating up to 500 guests. A portable platform and video wall made up of nine 70-inch high-definition flat screens makes for a Ted Talk-like presentation space. 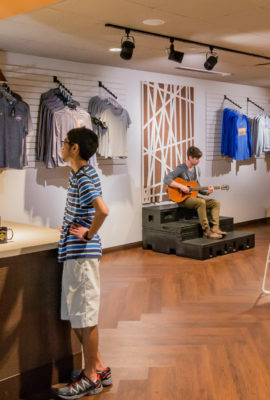 By offering state-of-the-art training to develop skills needed in the local economy, Tri Star attracts and retains students to the area while strengthening local businesses. 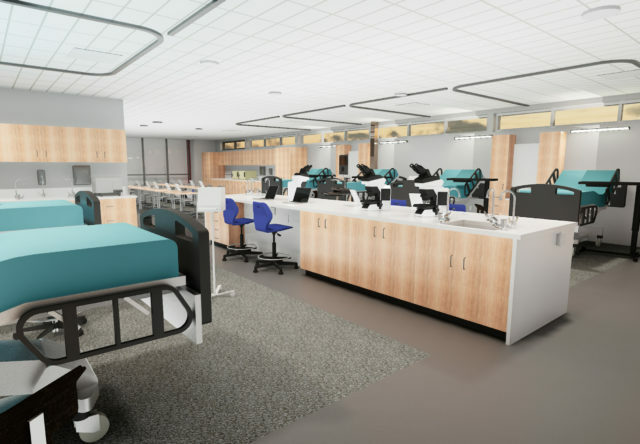 The comprehensive campus will prepare students to compete in the 21st century world economy, while serving as a source of pride within the local community. 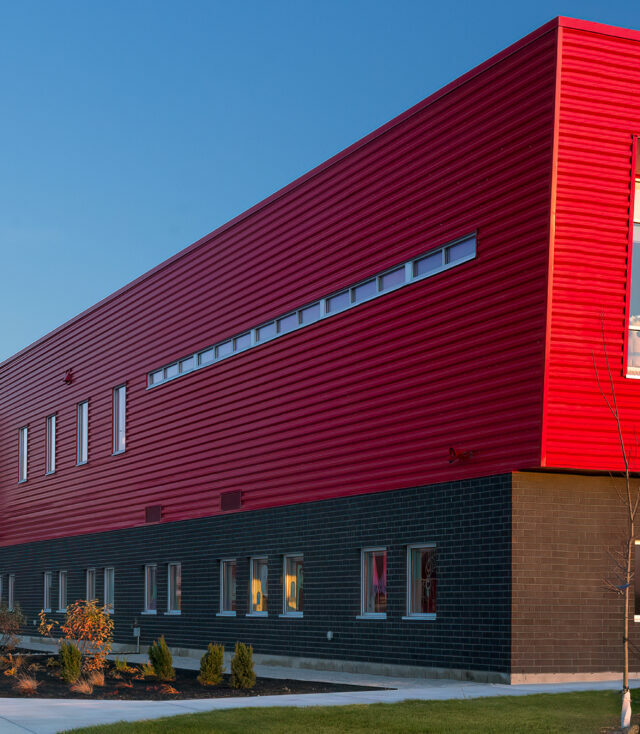 The design and look they [Fanning Howey] created looks like a corporate headquarters from the outside and has a college feel on the inside. 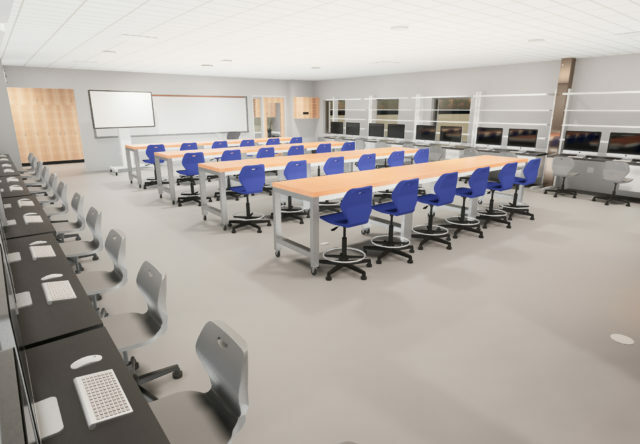 Being a career tech facility, they understand that it has to be flexible, whether that is easily adaptable on the inside, to preparing for the future if additional space is needed.